Author - Chris Carmichael with foreward by Lance Armstrong. 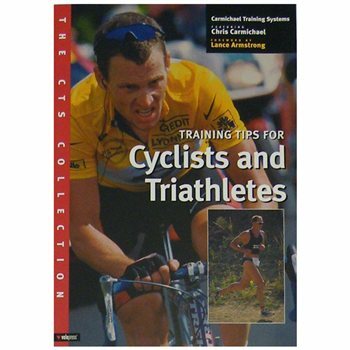 Education, tips, perspective and motivation for both cyclists and triathletes. The genisis of the book is the mission statement of CTS (Carmichael Training Systems): to provide physical, behavioral and strategic coaching aids to help athletes develop their full potential. Physical training can only provide part of what is needed to reach peak fitness; confidence and commitment provide the remainder of what it takes to become ready for top performance.